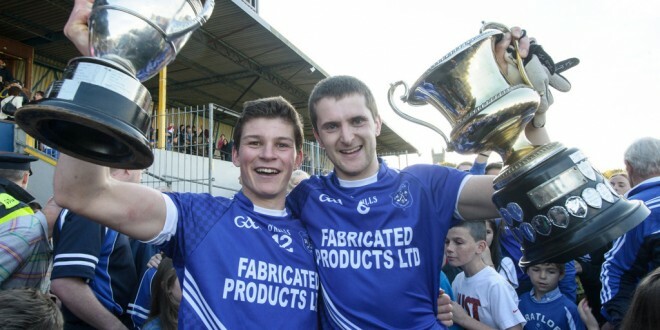 Cratloe hurling captain Liam Markham and football captain Micheal Hawes with the two cups following their senior football and hurling successes in 2014; Photograph by John Kelly. 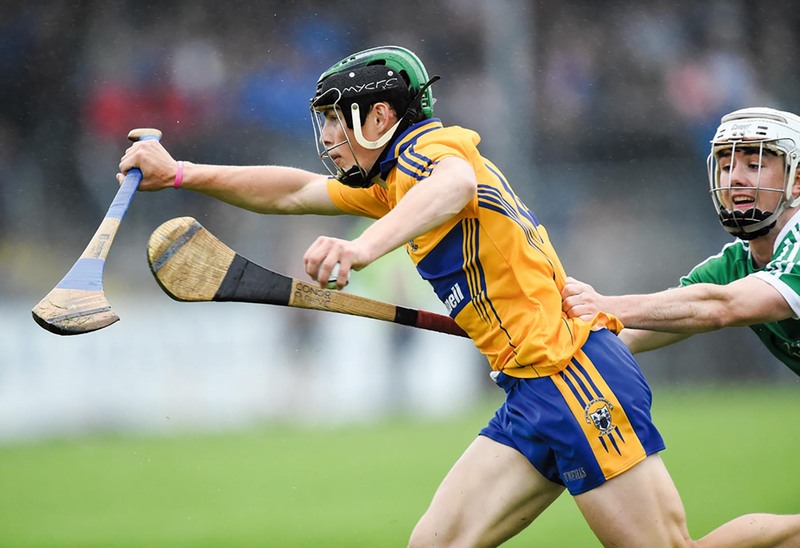 There are no shortage of talking points following the draw for the 2015 Clare senior and intermediate hurling and football championships, which took place on Monday evening at Treacy’s West County Hotel. Senior champions, Cratloe will open their hurling title defence against Ballyea, while their opponents in the first round of the football championship will be Kilmurry-Ibrickane. The hurling championship (senior and intermediate) has a new format this year and will be run similar to the senior football competition. Sixteen teams will play eight first round games, after which the eight winners will be drawn against each other with the eight losers drawn against each other. The senior hurling champions from 2013, Sixmilebridge face Éire Óg in the opening round, as they seek to return to the top. Clonlara, with Sean Stack now in charge, will face last year’s semi-finalists Clarecastle in the opening round, while last year’s beaten finalists, Crusheen will be up against Inagh-Kilnamona. Among the stand out pairings in the football championship, apart from the clash of Cratloe and Kilmurry-Ibrickane, are the meeting of West Clare neighbours, O’Curry’s and St Senan’s Kilkee and also the meeting of Doonbeg and Miltown. Intermediate hurling—Ogonnelloe v Clarecastle; Parteen v Ruan; St Joseph’s, Doora-Barefield v Wolfe Tones; Inagh-Kilnamona v Cratloe; Killanena v Corofin; Sixmilebridge v Smith O’Brien’s; Scariff v Crusheen; Broadford v Newmarket.